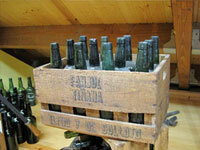 We began producing cider at the beginning of the 20th century. 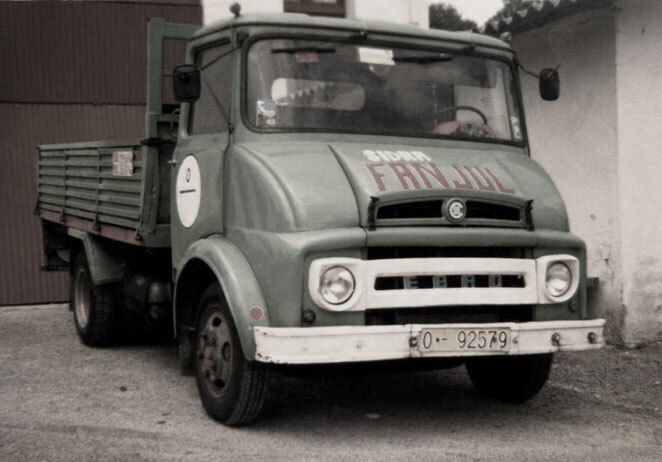 As the descendant of families with a long tradition of cider making "Anton el de la Sierra" founded this cider press/farm and labelled the cider with our family name, FANJUL. Anton became well known immediately for his tireless activity, constantly moving the business forward. He pioneered the export of cider to Cuba in 1940, led protests, together with other cider producers, against arbitrary taxes imposed on Asturian cider towards the end of this decade and not least of all, helped to found the first Cider press Association of Asturias. Anton died young. As he had no descendants his brothers inherited the cider press facility and decided to put it up for auction in the 70´s .At this auction,Anton´s sister,Josefa Fanjul made the first bid, not fully aware of the possible consequences. The surprise was great when no one else raised their voice to put in a more generous offer. From this moment on,Josefa,unwittingly,became the owner of the cider press and installations and immediately handed over the management of the business to her son Jose Antonio. "Toni" ran the cider farm “LLagar” and carried out important renovations as, after years of neglect the facilities had deteriorated greatly. He restored and retained many of the original cider barrels,vats and other artefacts and tools of Anton, most importantly, of course, the brand name. . 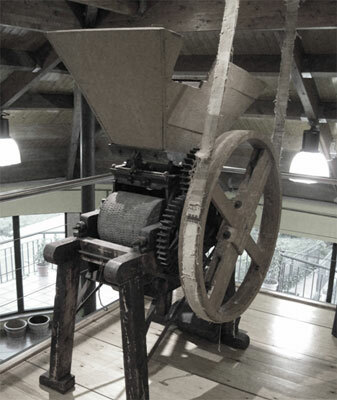 In the old cider factory two wooden cider presses were of particular interest, with an already motorized mechanism that could press 19 tonnes of apples at a time, making them the largest and most effective of that era. 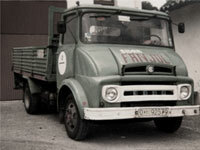 In the 1980¨s Toni´s son Carlos took over the management of the cider farm and has since, among other things, introduced advanced technology in the production process, increased the variety of products, created the first website in the cider industry and helped to promote the Asturian Cider Association and its activities. Fanjul cider achieved the coveted prize for cider of the highest quality from the “Fundation de la Sidra” in 2004,the first time ever to be awarded to a national industry. We would like to invite you to take a glimpse of our, ever changing and enriching enterprise.